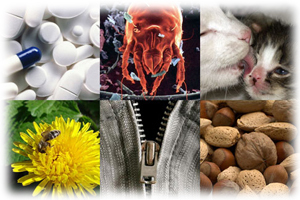 Treatment of Allergic Rhinitis: Why Are Medicines Helpless? What does allergic rhinitis lead to? Treatment of allergic rhinitis using folk remedies. What plays the key role in the development of rhinitis? 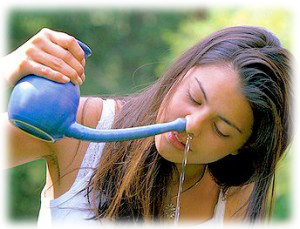 How to start breathing through a free nose and get rid of nasal catarrh? According to the definition given by the World Healthcare Organization, allergic rhinitis is an intermittent or persistent inflammation of the mucous membrane lining the nose and sinuses due to allergen exposure, which is characterized by nasal symptoms such as swelling, congestion, itching and hypersecretion..
Pollen causes seasonal allergies, while the house dust (especially dust mites), pet hair, some pot plants, food products and frequently taken medicines can cause allergic rhinitis throughout the year. So, how does allergic rhinitis declare itself? Treatment of allergic rhinitis Rhinitis and congestion result from allergic swelling and inflammation of the nasal mucosa. All this causes recurring sneezing along with a runny nose. Persistent nasal itching may attend rhinitis. In many cases, nasal breathing is labored, to the point of total inability to breathe through the nose. Therefore, patients presenting with rhinitis often keep their mouths open thus breathing through the mouth. Inability to breathe through the nose and persistent sneezing give no way of sleeping at night. Apart from the nose, the allergic reaction practically always involves the conjunctiva causing eye reddening and watering. In acute cases, all these symptoms combined drastically decrease human performance capability and deteriorate life quality. 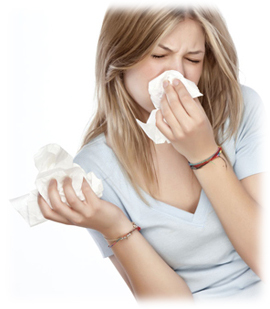 Mild allergic rhinitis – all symptoms are moderate. Contact with an allergen causes sneezing; nose is stuffy from time to time; a patient can sleep at night, and nasal breathing is somewhat labored. Moderate allergic rhinitis – recurrent sneezing fits are evident, often aggravating in the morning. A patient has a runny nose, as well as reddened and watery eyes. It becomes difficult to distinguish between odors. The nasal breathing is sometimes labored. The night sleep is impaired. Severe allergic rhinitis – all symptoms are most evident. A patient is practically unable to breathe through his/her nose, he/she cannot sleep and hardly catches smells, and his/her performance capability is decreased drastically. There is a tendency toward an increase in a number of allergens, and also toward disease transition into allergic bronchial asthma. It has become common practice not to take cure for this disease over years. However, living with a stuffy nose is impossible. Therefore, every day patients try to get rid of a stuffy nose using local vasoconstrictor sprays. What does it lead to? It leads to a surgical table. The sprays are approved for limited use in exceptional cases of the short-term cold. Vasoconstrictors should not be used for more than 7 days. Chronic use can cause a heavy drug dependence, and the medicine itself will become the major cause of persistent nasal congestion and allergy. Further uncontrolled use will lead to nasal mucosa atrophy, and restoration of the nasal breathing may require the surgical treatment of the upper respiratory tract. Allergic rhinitis can in no way be neglected. This disease is progressing. If untreated, it leads to allergy aggravation – that is, an increase in the range of substances triggering rhinitis. Primary allergy to pollen develops into allergy to dust, food products and cats. So, the seasonal disease turns into the perennial one. All the symptoms become even more evident – breathing through the nose is practically unavailable, itching and sneezing increase, thus robbing the patient of adequate sleep. The most dangerous outcome of the disease development is further change of allergic rhinitis into allergic bronchial asthma.. In order to diagnose allergic rhinitis, special tests are performed, and first of all the nasal smear test, in which special cells are detected using a microscopic method. Allergic nature of the disease can be confirmed by immunologic blood test. There are three generations of antihistamines – those from the first-generation have maximum adverse effects and exert strong soporific and slowing down action. 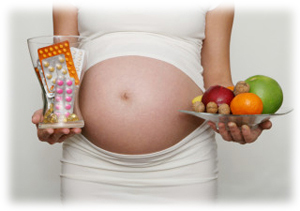 Antihistamines cannot be used in pregnancy and breast-feeding. They have hepatotoxic and nephrotoxic potentials, therefore, their long-term use presents a risk for the patients suffering from hepatic and renal diseases. The medicines are not recommended for children and the elderly. Local sodium chromoglycate spray is used in combination with antihistamine pills, generally in moderate or severe allergic rhinitis. This medicine is not allowed for children under 5 years of age, pregnant and breast-feeding women. It has a nephrotoxic and hepatotoxic potentials, so it is not recommended for use in case of diseases of these organs. This spray is not recommended in case of concomitant nasal polyps either. Glucocorticoid spray is used in combination with antihistamines and sodium chromoglycate in moderate or severe allergic rhinitis. Glucocorticoid-based medicines suppress immunity, therefore, they are contraindicated in tuberculosis, as well as mycotic and viral infections. Their long-term use is associated with the risk of developing upper respiratory tract infection. Their frequent use presents a risk of nosebleed which requires medicine withdrawal. The whole line of these hormonal agents is contraindicated during pregnancy and breast-feeding since their frequent application is a risk of developing fetal adrenal insufficiency. The medicines are not allowed for children under five years of age. Due to their nephrotoxic and hepatotoxic potentials, they require special consideration being prescribed in case of the respective disorders. Glucocorticoids cause addiction syndrome, therefore, their withdrawal presents certain problems. Thus, the above medicines do not remove the cause of allergy and clear nasal breathing only temporarily. The major problem is that in case of perennial rhinitis, occasional consumption of pills and sprays will last for a lifetime. But even the seasonal consumption of medicines may drag on for months. The symptoms of stuffing and sneezing are constantly recommencing. All this adds to frequent and sometimes uncontrolled use of these medicines, thus increasing the risk of adverse effects. Treatment of allergic rhinitis for pregnant women Furthermore, there are some basic limitations for rhinitis medication, among which is pregnancy, breast-feeding and pediatric use for a number of medicines. 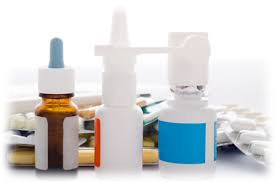 Taken alone, prolonged exposure to the basic medicines for treatment of allergic rhinitis will cause drug addiction and allergy, and end up with allergic rhinitis due to consumption of medicines. Development of allergic rhinitis is associated with the need of taking several kinds of medicines at once. Severe allergic rhinitis requires use of glucocorticoid sprays. Therefore, one should keep in mind that these medicines make for a decrease in local immunity, which can cause a development of infectious complications. In this context, permanent monitoring and regular bacterial culture tests are required. Thousands of various recipes for treatment of allergic rhinitis using herbs can be found over the Internet. They are based on preparation of decoctions or tinctures from certain herbs, with subsequent irrigation of the nasal cavity: either via pouring the decoction into one nostril after another or instilling the tincture. Mention can be also found of the cotton pellets soaked in an extraction of celandine and garlic to be inserted into nostrils for a certain period of time. Meanwhile, the most common is aloe, and chamomile tinctures, milfoil and calendula, as well as dandelion, burdock, nettle and beggar-ticks. The main problem of their application lies in the fact that at the point of addressing one’s attention to folk remedies a patient has already got an extended multifactor allergic reaction. Therefore, most of medicinal herbs are allergens by themselves for a patient and cannot be used as medications. Failure to control gathering, preparation and application of these remedies creates a risk of introducing infections into the patient’s nasal cavity. Why does allergic rhinitis develop and how can it be cured? Allergic rhinitis like any other allergy is caused by the profound disturbance of metabolism in the patient’s body. Human body receives only two types of substances from the outside, namely, inhaled air and food. These are precisely the substances which determine metabolism in our body. The well-known principles of a healthy diet enable elimination of harmful food products from the diet. And allergen oligotyping helps to detect them. Breathing plays one of the key roles in the development and progress of allergic rhinitis. Only healthy physiological breathing can adequately support our body. Type, rate and depth of our breathing form gas content of blood. Blood gases determine the blood acid-base status. Proper work of thousands of proteins and enzymes is possible with quite specific percent composition of gases. Thus, breathing serves as one of the key regulators of metabolism. Excessive depth of breathing far apart from normal human physiology causes deep disruption in metabolism and creates favourable background for development and progress of allergy. Therefore, allergic rhinitis depends on a patient’s deep breathing to a large extent. The mucosa inflammation and swelling serve as a peculiar defense reaction - an attempt of our body to prevent deep breathing. However, labored nasal breathing leads to breathing through the mouth, which further adds to the complexity of allergy. Thus, deep breathing becomes one of the key factors contributing to allergic rhinitis. Treatment with nasal sprays and herbal decoctions is only an attempt to clear the airways for a time. Meanwhile, the patient keeps breathing extremely deep and thus continues to destroy his/her own metabolism and make for allergy development. This factor simply gives no way to overcoming the disease. Healthy physiological breathing makes it possible to relieve the defense reaction. At the same time, normalization of quite a number of metabolic factors occurs. All of this contributes to releasing the nasal breathing at the initial stage of allergic rhinitis. In the severe neglected cases, only breathing normalization will make for an achievement of complex medication effect and prevent progression of the disease into bronchial asthma. Thus, allergic rhinitis treatment is always comprehensive. But it is not a complex of pills and sprays in maximum doses. This is a complex of normalization of the vital processes, namely: breathing and nutrition. Without breathing normalization, it is impossible to cope with progression of allergic rhinitis since excessive depth of breathing radically destroys our metabolism. Medication support combined with breathing normalization is acceptable and may occur in severe or advanced allergic rhinitis, but doses will be very different and far less. Only prioritization during treatment of rhinitis will help us to prevent adverse effects and steady progression of allergy and save our health and the health of our children. 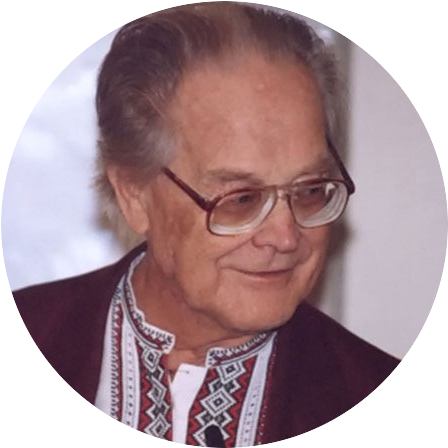 Video: "How To Get Rid of Allergies with DRUG-FREE Buteyko Method"